Made in the U.S.A., this hand-forged metal ceiling light features a natural iron finish and screened opal glass. Vermont's Hubbardton Forge specializes in timeless, hand forged metal designs. This graceful ceiling light design comes in a natural iron finish with screened opal glass bowl. Semi-flushmount design and made in the U.S.A.
17" wide x 16" high. Uses three 100 watt standard-medium base bulbs (not included). 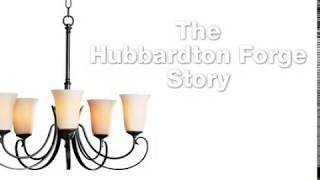 Made in the USA by Hubbardton Forge. Hand-forged frame and canopy. Natural iron finish. Can you recommend a small pendant light to coordinate with this fixture? BEST ANSWER: I'm sorry, this collection does not have a small/mini pendant. This Hubbardton Forge ceiling light fixture features a natural iron finish and opal glass bowl for visual appeal.